The year is 1899 and the preamble to the Anglo Boer war was about to begin. Queen Victoria had just recently celebrated her Diamond Jubilee. The British Empire was at the top of its power and prestige. But that was not enough for Alfred Milner, the High Commissioner of Cape Colony in South Africa. He wanted more. He wanted to gain for the Empire the economic power of the gold mines in the Dutch Boer republics of the Transvaal and the Orange Free State. With the discovery of diamonds and gold the British realized that there was great wealth for the taking outside the Cape Colony. In 1877 they annexed the region where the "voortrekker boers" had founded their "Zuid Afrikaansche Republiek" (South African Republic, also called The Republic of Transvaal), 25 years before. The "boers" were infuriated and on 16 December 1880 they declared themselves independent from Great Britain en the first shots were fired by Transvaal "boers" at Potchefstroom, marking the start of the first Anglo / Boer war. 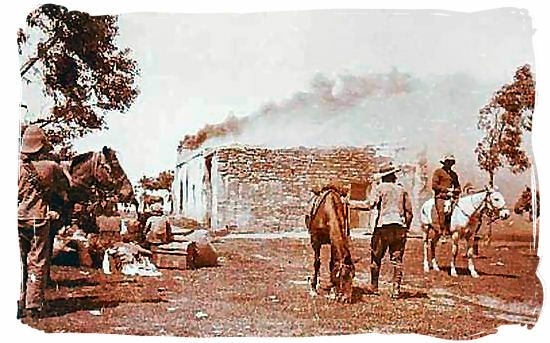 A few days later on 20 December 1880, the "Boers" ambushed and destroyed a British army convoy at Bronkhorstspruit near Pretoria. During the period 22 December 1880 to 6 January 1881, British army garrisons all over the Transvaal became besieged. 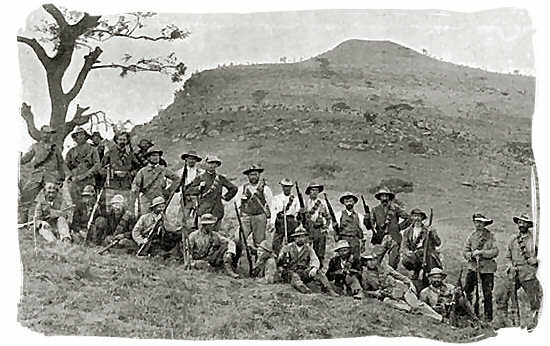 British forces from Natal, sent to relieve the besieged garrisons, were defeated at "Laing's nek" in their attempt to break through boer positions on the Drakensberg mountain range. On 8 February 1881 another British force barely escaped destruction at the "Battle of Schuinshoogte" (Also known as Ingogo). But the final humiliation for the British was to come at the "Battle of Majuba Hill" on 27 February 1881. In an attempt to drive the boers away from their stronghold at "Laing’s nek", the British had entrenched themselves in a strategic position on the top of the Amajuba "koppie" (hill). 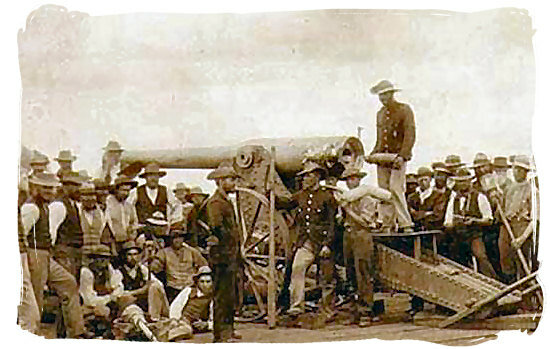 The "Boer" forces, having noticed them, found a way to climb the Majuba hill largely unnoticed, surprising the British. 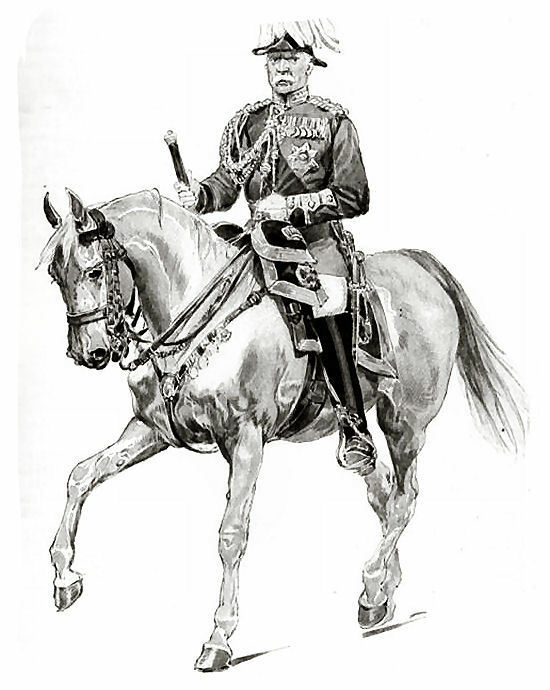 The British suffered great losses, including their commanding officer General George Colley. Unwilling to get further involved in a war they were not prepared for, the British government signed a peace treaty on 23 March 1881, returning the Transvaal Republic to the "Boers". 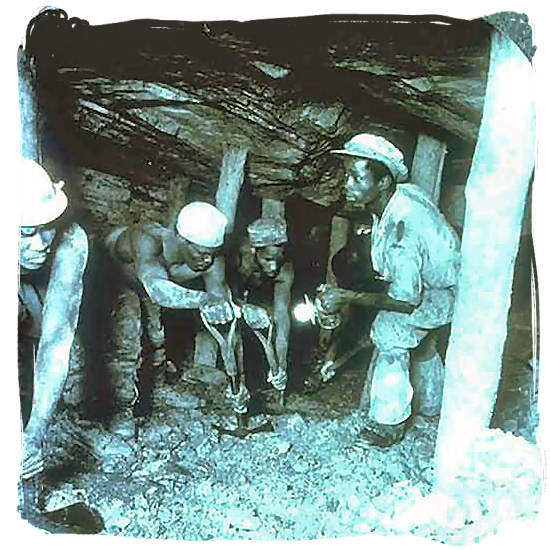 With the discovery of gold in Transvaal, thousands of British and other prospectors and settlers streamed over the border from the Cape Colony and from across the globe. The Afrikaner boer population of the Transvaal republic became nervous and resentful about the presence of all these "uitlanders" (foreigners). Feeling threatened they denied them voting rights and taxed the gold industry heavily. In response, there was pressure from the "uitlanders" (foreigners) and the British mine owners to overthrow the Boer government. 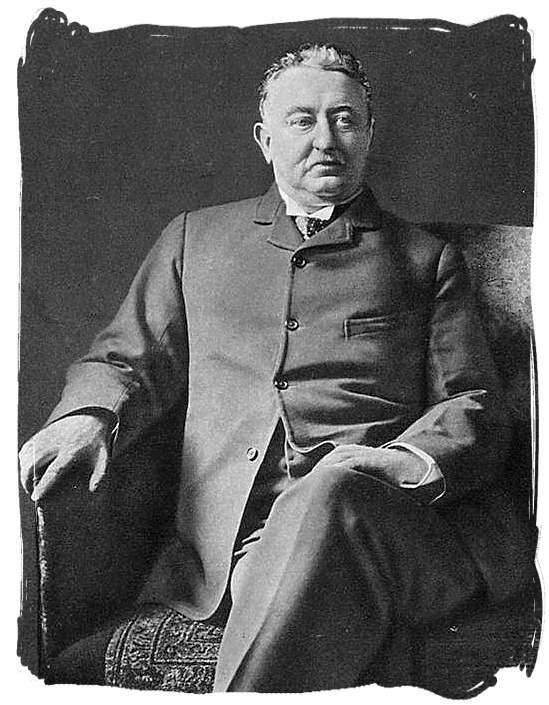 In 1895, well known mine magnate Cecil Rhodes sponsored a failed coup d'état backed by an armed incursion, an action known as "the Jameson Raid". 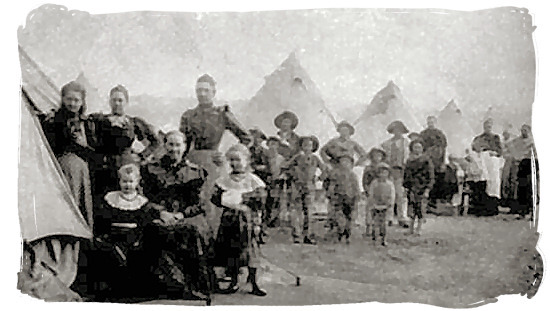 British colonial leaders favored annexation of the Boer republics and in September 1899 British Colonial Secretary Joseph Chamberlain sent an ultimatum demanding full equality for British citizens resident in Transvaal. 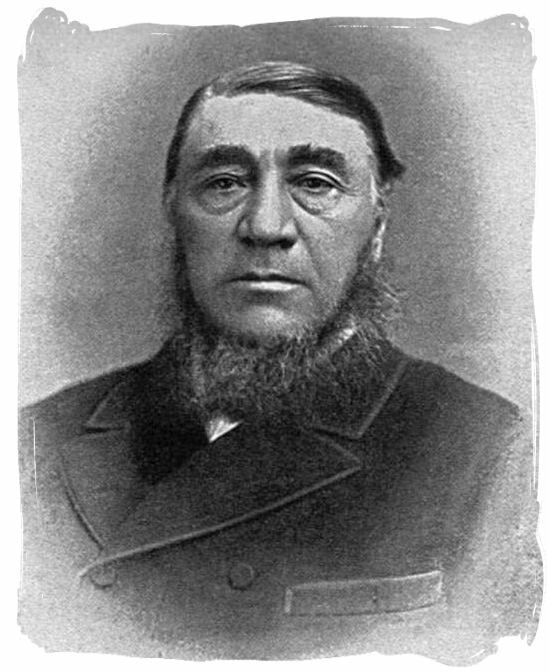 war was inevitable, President Paul Kruger of the Transvaal Republic, simultaneously issued his own ultimatum prior to receiving Chamberlain's. This ultimatum gave the British 48 hours to withdraw all their troops from the border of Transvaal; otherwise the Transvaal, allied with the Orange Free State, would be at war with them. 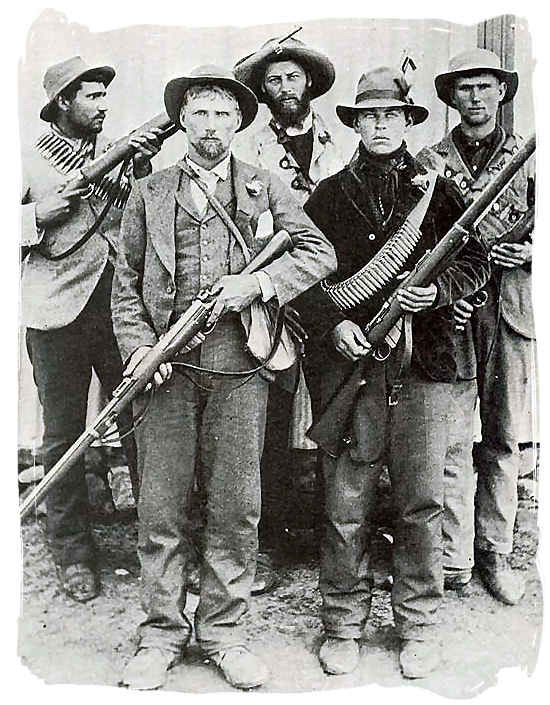 War was declared on 11 October 1899 and the Boers struck first by invading Cape Colony and Natal Colony between October 1899 and January 1900. The Boers were able to besiege the towns of Ladysmith, Mafeking (defended by troops headed by Colonel Robert Baden-Powell), and Kimberley. The middle of December 1899 proved difficult for the British army. They suffered a series of devastating losses at Magersfontein, Stormberg, and Colenso. At the Battle of Stormberg on 10 December, British General Sir William Gatacre who was in command of 3,000 troops, tried to recapture a railway junction about 50 miles south of the Orange River, he was defeated by Orange Free State “Boer” forces, losing 135 troops killed and 600 captured. At the Battle of Magersfontein on 11 December, 14,000 British troops, under the command of Lieutenant General Methuen, attempted to fight their way to relieve Kimberley. 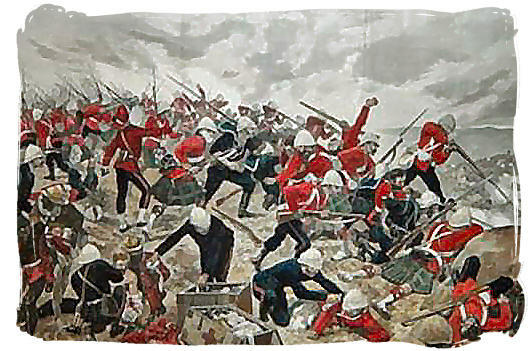 The British were decisively defeated, suffering the loss of 120 British soldiers killed and 690 wounded, which prevented them from relieving Kimberley and Mafeking. But the nadir of Black Week was the Battle of Colenso on 15 December where 21,000 British troops, under the command of Redvers Buller, attempted to cross the Tugela River to relieve Ladysmith where 8,000 Transvaal Boers, under the command of Louis Botha, were awaiting them. Through a combination of artillery and accurate rifle fire, the Boers beat off all British attempts to cross the river. 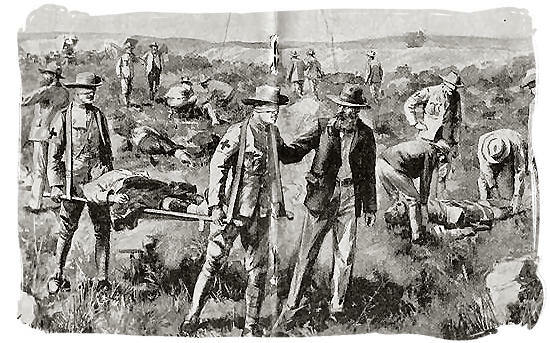 The British suffered further defeats in their attempts to relieve Ladysmith at the Battle of Spionkop of 19 to 24 January 1900, where Redvers Buller again attempted to cross the Tugela west of Colenso and was defeated again by Louis Botha after a hard-fought battle for a prominent hill feature which resulted in a further 1,000 British casualties and nearly 300 Boer casualties. Buller attacked Botha again on 5 February at Vaal Krantz and was again defeated. It was not until reinforcements arrived on 14 February 1900 that British troops commanded by Field Marshal Lord Roberts could launch counter offensives to relieve the besieged garrisons. Kimberley was relieved on 15 February by a cavalry division under Lieutenant General John French. Buller at last succeeded in forcing a crossing of the Tugela, and defeated Botha's outnumbered forces north of Colenso, allowing the Relief of Ladysmith. Roberts then advanced into the two republics, capturing Bloemfontein, the capital of the Orange Free State, on 13 March, with Pretoria the capital of Transvaal soon to follow. Meanwhile, he detached a small force to relieve the garrison at Mafeking. After the fall of Pretoria, British observers believed the war to be all but over after the capture of the two capital cities. However, the Boers had met at a new capital of the Orange Free State, Kroonstad, and planned a guerrilla campaign to hit the British supply and communication lines. The set-piece period of the war now largely gave way to a mobile guerilla war. President Kruger and what remained of the Transvaal government had retreated to the eastern Transvaal, from where Kruger sought asylum in Portuguese East Africa (Mozambique). Both “Boer” republics, the Transvaal and the Orange Free State, were under British control by September 1900. However, it was virtually impossible for the 250,000 British troops occupying the huge territory, to control it effectively. They were only able to control the ground their columns physically occupied. As soon as they left a town or district, control of that area faded away. The vast empty spaces between the British army columns allowed de “Boer” forces to move around with considerable freedom. All these circumstances were favorable for the “Boers” to implement their new guerilla style of warfare. They operated in their own districts against the British enemy on a hit and run basis, doing as much damage as possible, vanishing when enemy reinforcements became too much to handle. The British found themselves at a disadvantage, due to the size of the territory, lack of familiarity with the terrain and the mobility and skills of the "Boers". In an effort to bring the war to an end, the British responded with a scorched-earth policy. This included burning down the farms and homes of the "Boers", and putting their women and children in concentration camps. Some 26,000 "Boer" women and children and 14,000 black and colored people were to die in appalling conditions. This brought the "Boers" to their knees. With their farms and homes burnt down, their belongings confiscated and their women and children dying in concentration camps, they were forced to surrender. 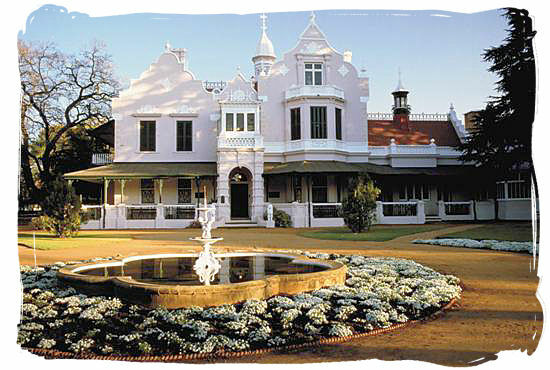 On 31 May 1902 the war ended with the signing of the peace treaty of Vereeniging at Melrose house in Pretoria.